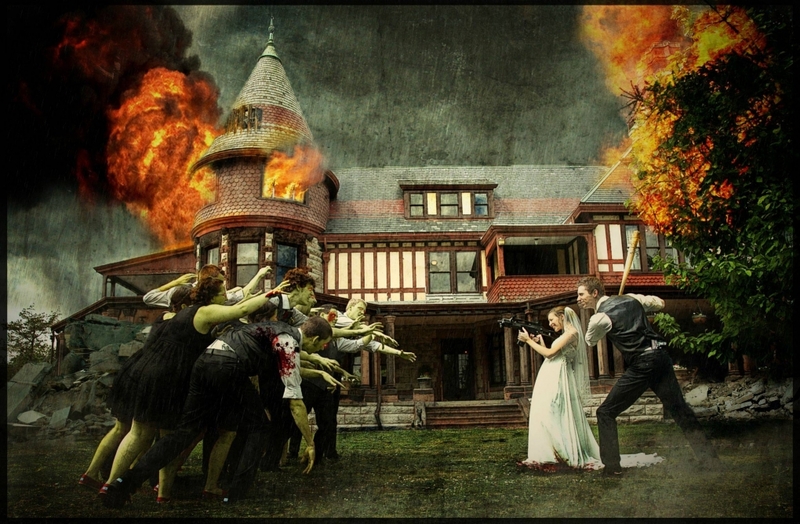 Older picture I made of my wife's and my wedding for fun! Photoshop work isn't as tight, but I was just getting into this type of work. And the image is fun for our memories!